YETI®, a leading premium outdoor brand, announces multiple new products to join its lineup. Today, the Austin, Texas-based company proudly reveals the Tocayo Backpack, Boomer Dog Bowl, Lowlands Blanket, Rambler Stackable Pints, and various Rambler accessories. The Tocayo Backpack is a rugged day pack engineered with a resilient exterior, superior padding, and ultra-strong zippers to keep your valuables protected, whether you’re commuting by floatplane, dirt road, or bike lane. Constructed with firm and durable EVA padding built into the base, back, and each compartment, the pack is designed to stand tall on its own and refuses to fall flat or tip over when you set it down. This pack is built for maximum utility, with minimal exterior pockets and a sleek design. A QuickStash™ pocket located at the top of your pack keeps your earbuds, passport, or any other must-grabs permanently close by. 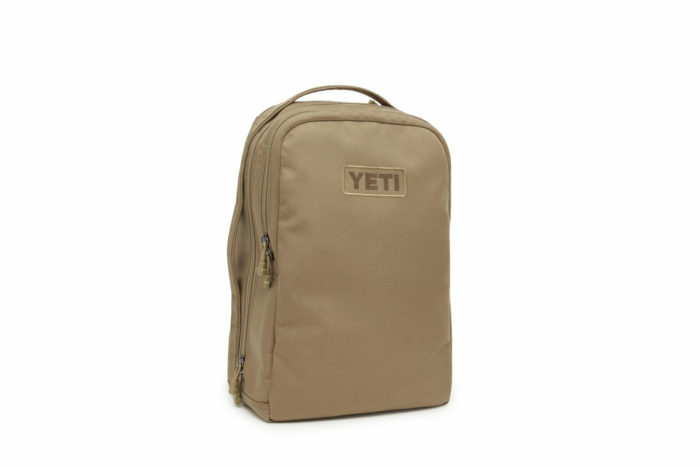 The interior of the pack boasts a Rambler pocket on each side, which can snugly fit a variety of YETI drinkware, or even safe keep your dog leash or tennis shoes. A 360˚-protected laptop pocket and side-zip access give you peace of mind as you carry your devices from point A to point B. The Lowlands Blanket is ideal for laying low in epic spaces. Equal parts functional, plush and spacious, the ultra-durable Lowlands Blanket transforms every outdoor concert, tailgate, or backcountry post-up into your personal base camp. Featuring a waterproof bottom utility layer, as well as a supremely soft, insulating layer, Lowlands is there to keep you comfortable in any setting. 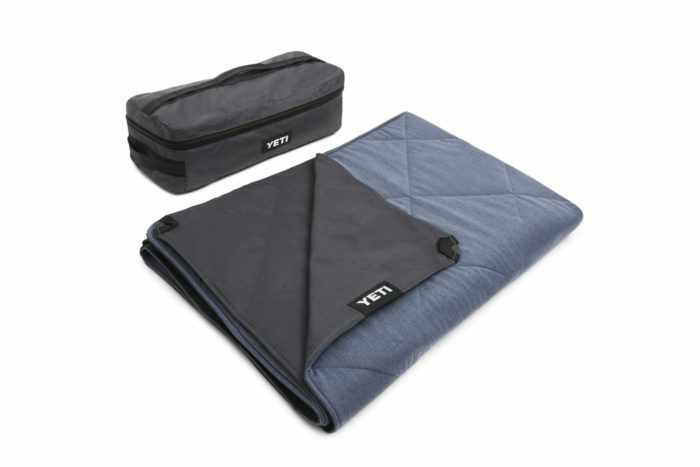 To make this item even sweeter, this machine washable blanket repels dirt, burrs, and pet hair, and features reinforced loops at each corner so you can stake it down when needed. The Boomer Dog Bowl is designed to be as dependable and down for adventure as [wo]man’s best friend. This double-wall non-insulated dog bowl is constructed with ultra-durable kitchen-grade stainless steel to resist rust and roughhousing. 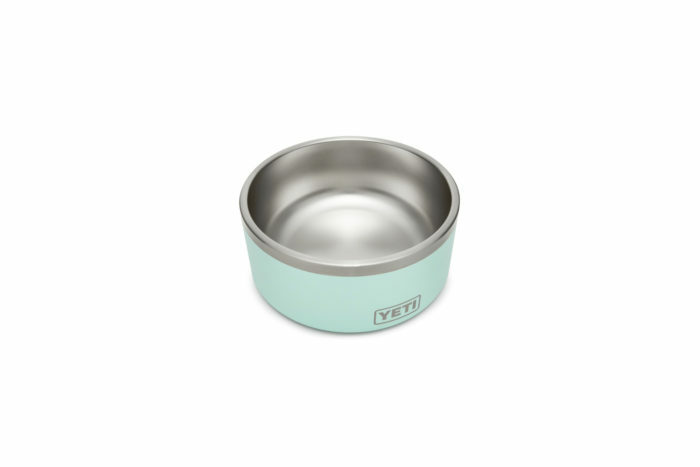 Thanks to YETI’s BearFoot™ non-slip base, it won’t slide across the floor, no matter how enthusiastically your pup chows down. Most importantly, Boomer is food safe and BPA-free so you can fill it to the brim with eight cups of fresh water, treats, or your canine’s favorite kibble, knowing your buddy is well fed and taken care of. And when they’ve licked the bowl clean, simply throw it in the dishwasher. YETI is proud to introduce two new products to its Rambler line, including the 16oz Stackable Pint and Wine Tumbler MagSlider Lid. With elements that YETI fans have come to know and love, the Rambler Stackable Pint is constructed of 18/8 kitchen-grade stainless steel, features that familiar double-wall vacuum insulation, and includes a lid so you don’t waste a drop of your frosty beverage. These cups are easy to stack and pack so the whole crew can enjoy a cold one. 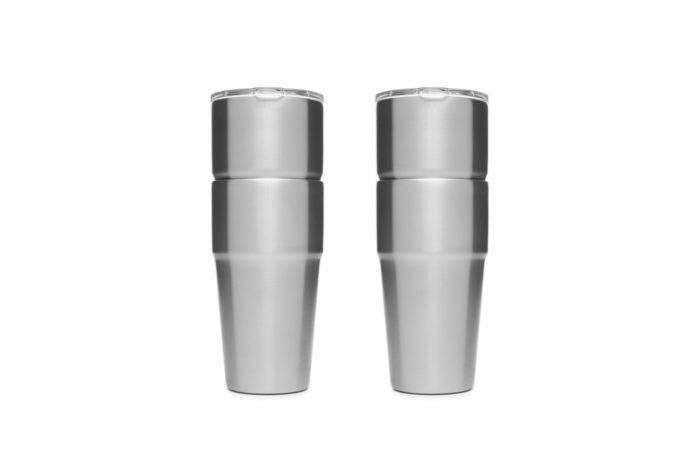 An add-on for YETI’s beloved Wine Tumblers, the Wine Tumbler MagSlider Lid ensures dirt and bugs stay out of your favorite varietal. 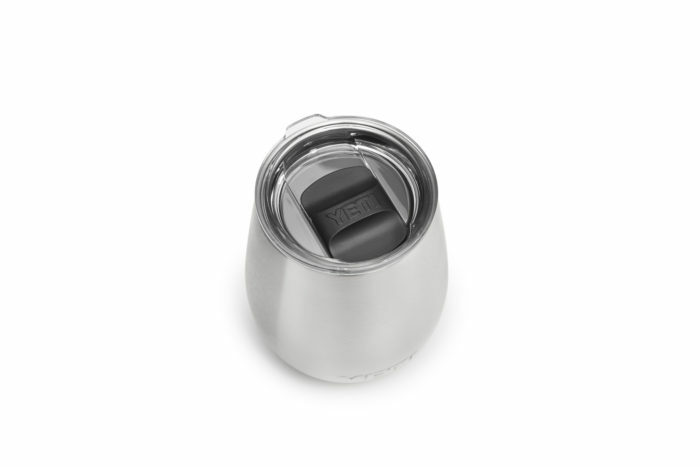 The dishwasher-safe lid provides a snug seal that fits perfectly with your Tumbler. All items listed will be available this fall on yeti.com. The Tocayo Backpack is available for $249.99 in two colors: black and tan. The Boomer Dog Bowl will be available for $49.99 in four colors: stainless, seafoam, black, and brick red. The Lowlands Blanket will be available for $199.99 in two colors: Smoke Blue and Fireside Red. Rambler Stackable Pints will be available in two-packs for $49.99 in stainless, black, seafoam, navy, white, and brick red. Wine Tumbler MagSlider Lid is available for $9.99. For more information on all new Fall 2018 products, please visit yeti.com.